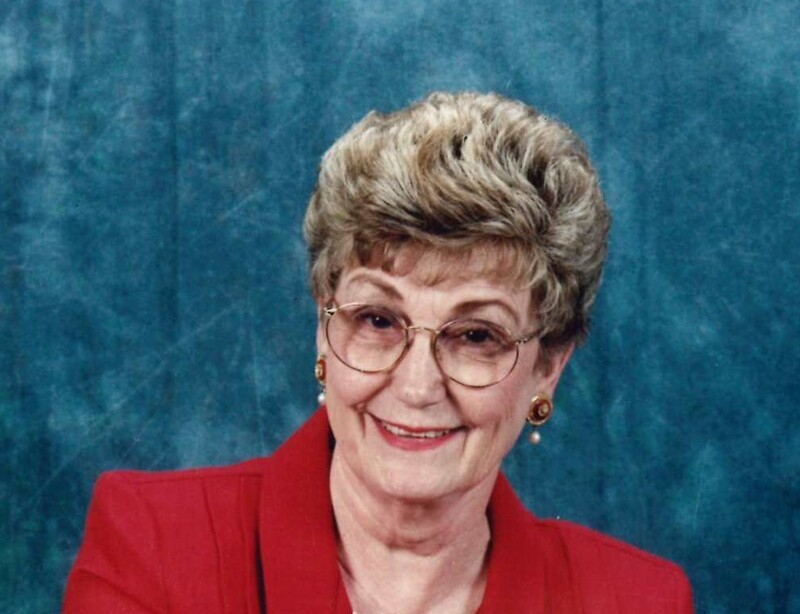 Violet Marie (Shaw) Jenks, 86, of Muskogee, Oklahoma passed away Sunday, February 10, 2019. She was born June 14, 1932 in Albion, Oklahoma to James and Nora Shaw. Violet attended public school and graduated from Lyle (WA) High School in 1950. She married the love of her life, Dennis Leo Jenks, on May 14, 1952 in Gentry, Arkansas. They shared more than 64 years of life and marriage together until his passing. Violet owned and operated Violet’s Beauty Shop in Braggs for more than 35 years where she also worked as a beautician. She then invested in rental properties and founded and operated Jenks Property Management Co. with her husband. Violet was an active and faithful member of Chandler Road Church of Christ. She will always be remembered for her love of her family and friends. She loved to garden and work in her flowerbeds; transform run down homes into clean, affordable rent homes; and loved to cook delicious meals for her family and friends. Violet also enjoyed sitting with and serving sick patients. Violet was preceded in death by her parents, James and Nora Shaw; husband, Dennis L. Jenks; son, Randy Lee Jenks; sisters, Lily Williams, Mildred Stoynoff, and Jimmie Lee; brother, Bob Shaw; and daughter-in-law, Debbie Jenks. She is survived by her son, Dennis Duane Jenks and wife Wendy of Muskogee; grandsons, Tracy Jenks and wife Nydia, and Marcos Jenks, all of Ft Worth, TX; granddaughter, Becky Jenks Shaw and husband Jim of Fromberg, MT; great-grandsons, Nathan and Noah Shaw of Fromberg, MT; four nephews, three nieces; along with other family members and friends. Cremation services performed by Cornerstone Funeral Home, 1830 N. York St, Muskogee, OK. Condolences may be sent to the family online at www.cornerstoneofmuskogee.com.